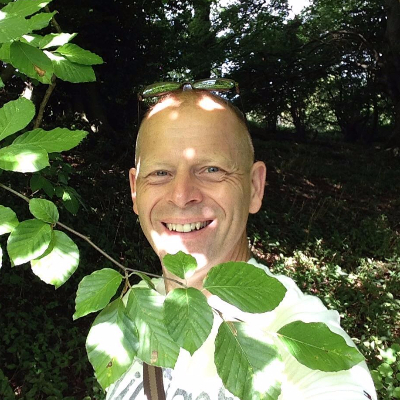 We have quizzed our very own champion of mindfulness, expert on coaching and lover of all things to do with nature Ian, to find out more behind his role as Talent & Business Development Director. To understand more about the virtues that are essential to Ian’s’ job, his favourite venue and the most enjoyable thing about working for First Choice Conference & Events take a look at our recent blog. You can also find out more on our ‘meet the team’ page! What do you enjoy the most about working for First Choice Conference & Events? Being part of an energetic, supportive, successful and talented team. I love the synergy that happens when a group of people come together as a team with a shared vision and then achieve great success. What three items or virtues are essential to your job? A for AUTHENTICITY – as a people-based business authenticity is key to building strong, long-term relationships with our clients, partners and colleagues. B for BALANCE – the modern workplace can be all consuming. It’s easy to become distracted from other vitally important aspects of life, like health & family. Striking a healthy balance is essential if you want to maintain high levels of happiness, wellbeing and success. C for COMMUNICATION – being connected, informed and available is crucial in today’s fast-paced and competitive marketplace. That’s why my iPhone is rarely out of my grasp. My social media addiction may also have something to do with it. What is the best experience you have had at First Choice Conference & Events and why? Most recently, the best experience I’ve had has to be the BizFit Coach2Summit Challenge we took on in July. Our team climbed up to British Camp on the Malvern Hills 144 times, the equivalent height of climbing to the summit of Mount Everest. An outstanding team achievement and most importantly, we raised £825.00 for The Cystic Fibrosis Trust. Which is your favourite venue and why? My personal favourite venue is Chewton Glen a luxury Country House & Spa. Situated on the edge of the beautiful New Forest it has everything I need to eat, meet, relax, create and explore. What’s your top tip for doing your job? Love what you do and it never feels like hard work.